When John Mark wrote out his “good news” about Jesus two thousand years ago, his Gospel was a completely new kind of book. No one had ever written one before. In fact no one would have known what a Gospel was…What made the Gospel of Mark unique was this: it was not written merely as the memoir of Jesus as a great man, nor even as the greatest man who had ever lived. Rather it was meant to persuade its readers that Jesus was the Son of God…Who is Jesus of Nazareth? 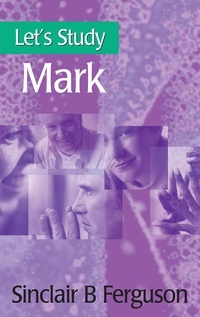 What is the good news (gospel) about him?…This book presents us with Mark’s answer.